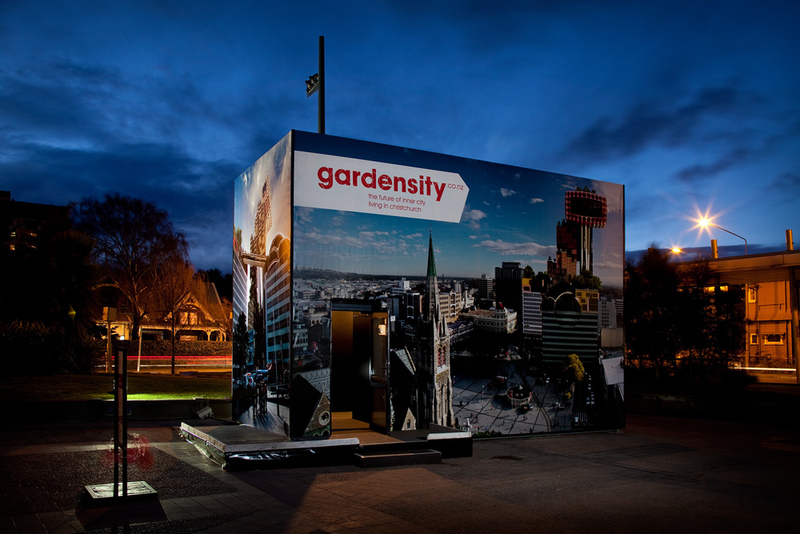 First designed prior to the initial 4 September, 2010 Canterbury earthquake, Gardensity was envisioned as a fictional property development to house new condensed, sustainable living located in Cathedral Square. 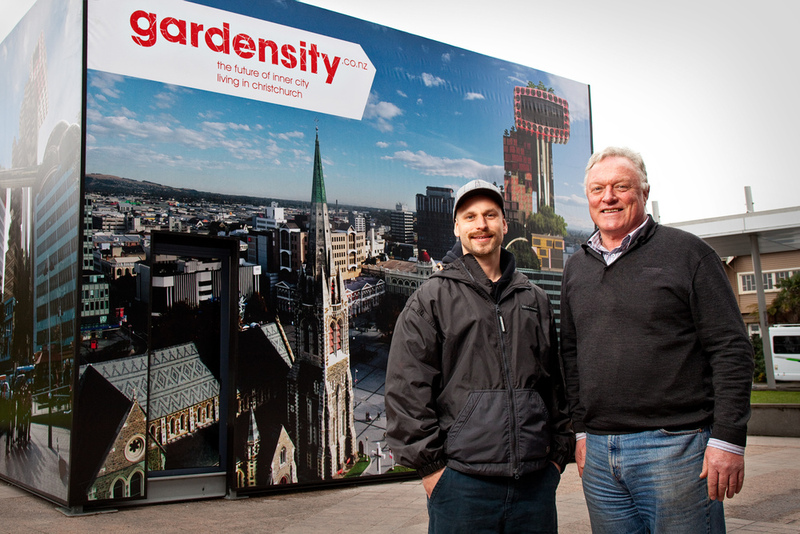 Ash Keating’s delivery of Gardensity as part of the 6th SCAPE could not have been more apt or timely for Christchurch. 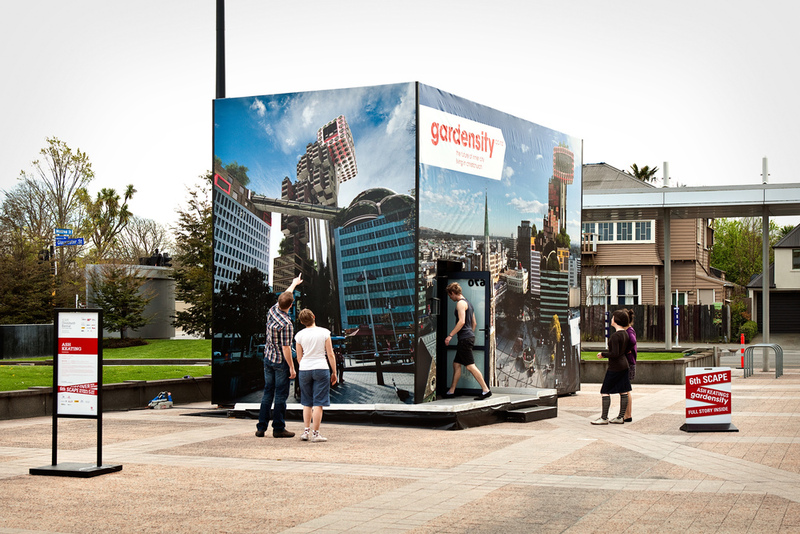 Keating enabled us to experience this vision through an architectural animation, site-specific installation and an internet presence that took on heightened importance as a location for public dialogue regarding the future, post-earthquake redevelopment of Christchurch. 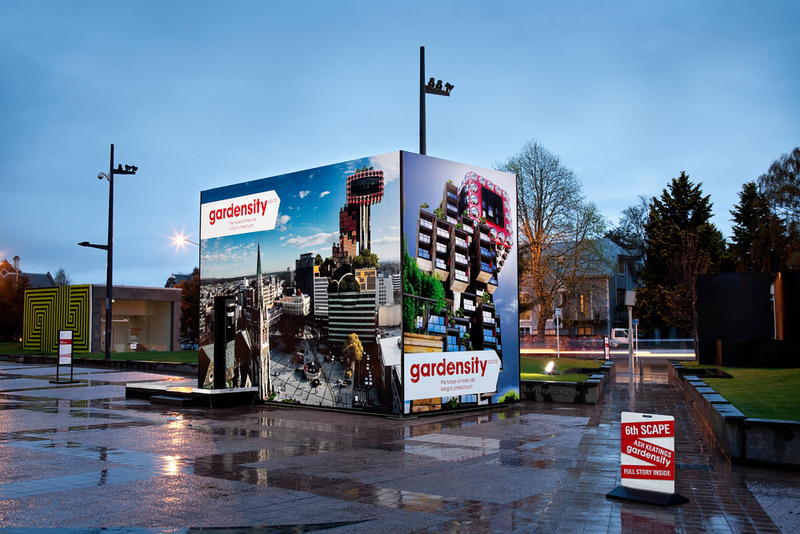 Designed by Ash Keating in collaboration with Dorian Farr, Patrick Gavin, Chris Toovey and David Campbell. Ash Keating was born in Melbourne, Australia in 1980. Keating completed a Bachelor of Fine Art in Painting at Monash University, Caulfield in 2003 and then went on to complete a first-class BFA Honours at the Victorian College of the Arts in 2006. Keating’s work has been written about extensively in numerous art journals such as Frieze, Broadsheet, Art and Australia, Un, Artlink and Photofile. 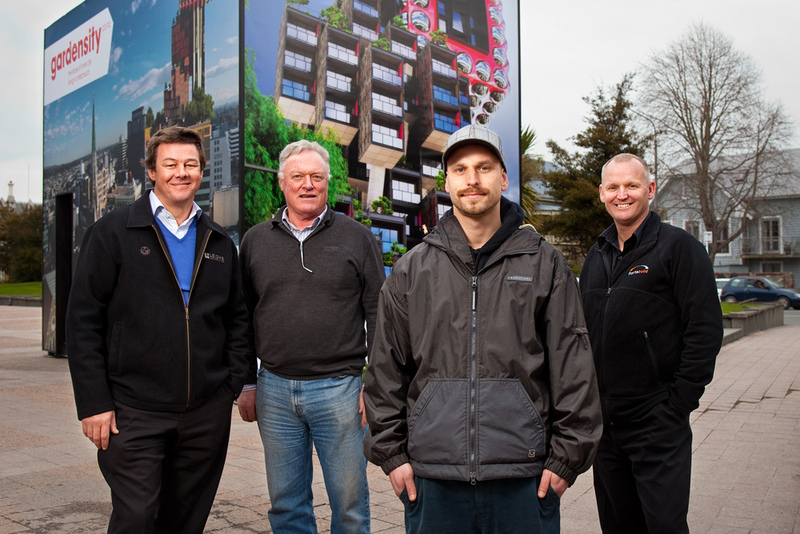 He was the winner of a 2008 ANZ Art and Australia RIPE award, as well as being selected as a finalist in the 2009 SOYA and RBS Australian emerging artist awards. 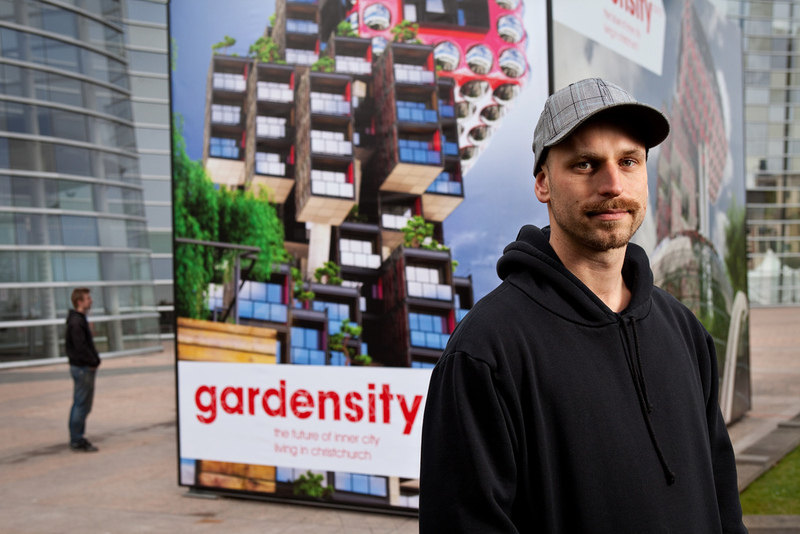 In seeking to bring about positive change or alternative thinking, Keating's site-specific contemporary art projects are presented through diverse and poetic forms that often seek to radically transform the viewer’s understandings of local and global environmental issues. 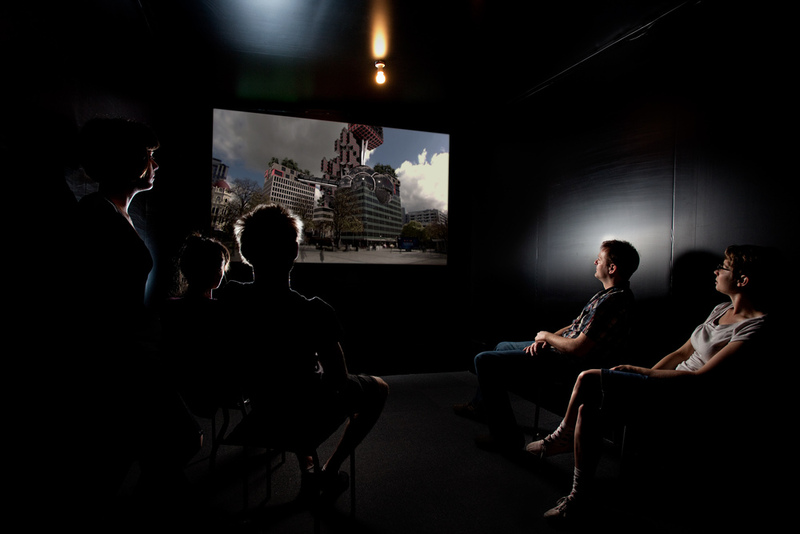 In early 2009 Keating undertook a project in Sydney’s Western district created through the Museum of Contemporary Art’s C3West initiative, which saw the artist negotiate a collaboration with the MCA, SITA Environmental Solutions, Penrith Performing & Visual Arts and Penrith City Council to produce an installation and performance-based project titled, Activate 2750. 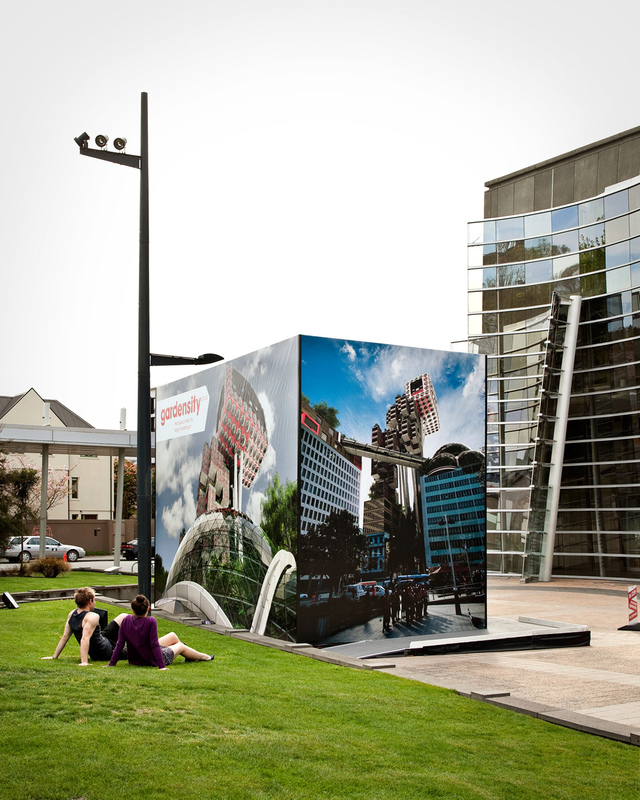 Keating has created several ambitious site-specific art projects internationally, including Pascua Lama, which was created at the Museo de Contemporeano as part of The South Project’s 2006 gathering in Santiago, Chile; Label Land, created during a 2008 Asialink Residency in Seoul, Korea, and Timuran, created as part of The South Project’s 2009 gathering in Jogjakarta, Indonesia with support from an Australia Council for the Arts emerging artist new-work grant.